Wealthy Saudi merchant families are holding back from investing in the kingdom as nervousness triggered by Riyadh’s anti-corruption purge exacerbates a fragile business climate. According to bankers, private businesses have resorted to sitting on their cash, while some are looking for ways to shift funds offshore. Yet some wealthy Saudis fear their financial affairs, especially attempts to transfer money, are being monitored to prevent them moving assets overseas, the bankers say. Larger transfers made by Saudi royals and businessmen have also been blocked, said the wealth manager. “A royal asked to transfer millions for a property in London, but was told no,” added the manager who, like others who spoke to the FT, asked not to be named because of the sensitivity of the subject. The unease and lack of appetite to invest in the kingdom risks undermining Crown Prince Mohammed bin Salman’s efforts to overhaul the oil-dependent economy and create 1.2m private sector jobs for Saudis by 2020. Unemployment hit 12.9 per cent in the first quarter — the highest level on record. Bankers say a combination of factors are fuelling the subdued mood, ranging from increased costs of employing foreigners, who account for more than 80 per cent of the private sector workforce, to concerns Prince Mohammed could launch another sweeping anti-corruption crackdown. More than 300 tycoons, princes and former government officials were rounded up in a graft purge in November and detained at the Ritz-Carlton hotel in Riyadh. The government insists the crackdown was necessary to tackle fraud in the business community. Most of those detained were released after agreeing to settlements under which they transferred assets and cash to the state. Riyadh says it will net $100bn from the purge. The families of royals and businessmen still under investigation have to apply for stipends from frozen bank accounts, bankers say. Some are blocked from exchanging riyals for other currencies, in effect ensuring their wealth remains within Saudi borders. Another banker said some Saudi families were searching for discreet ways to get money out of the kingdom, including investing in business proposals in friendly third countries, such as Egypt. “They’re trying to send smaller amounts than before so it goes under the radar, as they’re still worried that they’re getting monitored,” the banker said. In addition to the unease caused by the corruption crackdown, Saudi companies are grappling with rising costs and a period of stagnant growth caused by a prolonged period of low oil prices. The Arab world’s biggest economy slipped into recession last year before returning to growth of 1.2 per cent in the first quarter. Government officials are optimistic that a return to growth, combined with the recent inclusion of the stock market in MSCI Emerging Market index, would help boost the business climate. “The anticipated participation of more international investors will significantly contribute to the growth, sophistication and maturity of the market,” Mohammed al-Jadaan, the finance minister, said last month. During the past 18 months, Riyadh has increased energy and fuel prices by cutting subsidies to reduce consumption and address the government’s wide budget deficit. The kingdom has also increased fees on expat labour and foreigners are leaving in record numbers— almost 700,000 have exited the country since the beginning of 2017. Foreign direct investment also plummeted from $7.45bn in 2016 to $1.42bn last year, according to UN data released last month. 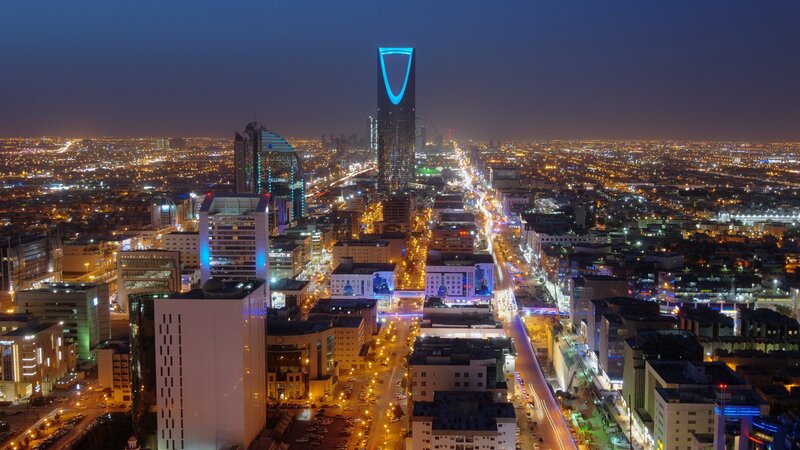 Basem al-Sallom, deputy governor at the Saudi Arabian General Investment Authority, said there were significantly more companies applying for licences to open in the kingdom this year than last. However, a Saudi chief executive, who described the corruption crackdown as a “shock” but also a “move in the right direction”, said the general mood was “cash is king, keep it with you as long as you can”. “I find it far more difficult now to raise money for any investment transaction . . .
because people are in doubt and they just want to make sure they are making the right decision,” the chief executive said. In comparison with a decade ago, it takes “five times” the effort to “convince a family to park their money in any transaction, be it local or international,” he added.